Abstract: College Students finds it difficult to catch college bus on a regular basis. This is a common problem among Students. Efforts have been made to simplify this process by introducing GPS tracking. But as none of them have a proper algorithm to take into consideration the bus stops as well, the whole point of a student intercepting a bus's route is lost. The idea of catching a bus then results in the student chasing the bus. This project is an attempt to solve this problem by introducing an Algorithm which uses Google Maps API ,to find the best way to intercept a bus's route to catch the bus without asking the bus to wait for the student ,neither for the student to chase the bus. The algorithm would show the Student, the nearest bus stop from his location, and the exact location of the upcoming buses, approaching that particular bus stop. Also this allows student to know locations of other nearby buses to help him decide manually if other buses are a better option for him. Keywords: Android Application, Google Maps API, GPS Technology and Shortest Path Algorithm. Abstract: Large scale power systems are normally composed of control areas or regions representing coherent groups of generators. Frequency deviations and inter-area tie-power fluctuations from their respective scheduled values following a local load disturbance are a source of great concern in interconnected power system operation and control. A new method to minimize such deviations and thereby enhance the performance of Automatic Generation Control (AGC) of an interconnected power system is to be determined. The coordinated operation of a Thyristor-Controlled-Phase-Shifter (TCPS), in an area and in series with the tie-line with supplementary controller for the improvement of Load Frequency Control (LFC) was studied. Keywords: Automatic generation control, load frequency control, multi-area power system, thyristor-controlled-phase- shifter (TCPS), and PI&FUZZY gain scheduled AGC-TCPS combination. 1. N.Jaleeli,D. N.Ewart, And L.H.Fink, Aug 2008’understanding Automatic Generation Control’ IEEE Trans.Power System Volume 7, No. 3, Pp 1106-1122. 2. Coppisetty Srinivasa rao, sirigiri sivanagaraju, Prabandhankam sangameswara raju comparison of performance of Tcps and smes in automatic generation control of reheat thermal system ,Acta Electrotechnica et Informatica, Vol. 10, No. 4, 2010, 69–74. 3. J. Nanda, A. Mangla and S. Suri, “Some New Findings on Automatic Generation Control of an Interconnected Hydrothermal System with Conventional Controllers”, IEEE Transactions on Energy Conversion, Vol. 21, No. 1, pp. 187-194, March, 2006. 4. Demiroren, “Application of a Self-Tuning to Automatic Generation Control in Power System Including SMES Units”, ETEP, Vol. 12, No.2, pp. 101-109, March/April 2002. 5. Demiroren, “Application of a Self-Tuning to Automatic Generation Control in Power System Including SMES Units”, ETEP, Vol. 12, No. 2, pp. 101-109, March/April 2002. 6. Bengiamin, N. N.; Chan, W. C., “Variable Structure Control of Electric Power Generation”, IEEE Trans. on PAS, 101 (1982), 376–380. 7. Al-Hamouz, Z. M.; Al-Duwaish, H. N., “A New Load Frequency Variable Structure Controller Using Genetic Algorithms”, Electric Power Systems Research 55 No. 1 (2000), 1–6. 8. Rajesh Joseph Abraham; Das, D.; and Patra, A., “AGC Study of a Hydrothermal System with SMES and TCPS”, European Transactions on Electrical Power, 2008; DOI: 10.1002/etep.235. 9. Mairaj Uddin Mufti, Shameem Ahmad Lone, Sheikh Javed Iqbal, Imran Mushtaq, “Improved Load Frequency Control with Superconducting Magnetic Energy Storage in Interconnected Power System”, IEEJ Transaction, Vol. 2, pp. 387-397, 2007. 10. Hingorani NG., “Flexible AC Transmission”, IEEE Spectrum, 1993; 30(4):40–45. 11. Xing K.; Kusic G., “Application of Thyristor Controlled Phase Shifters to Minimize Real Power Losses and Augment Stability of Power Systems”, IEEE Transactions on Energy Conversion, 1988; 3:792–798. 12. Kothari, M. L. – Kaul, B. L. – Nanda, J.: Automatic Generation Control of Hydro-Thermal System, Journal of Institute Of Engineers (India), Vo1. 61, Pt El2, Pp. 85–91, Oct. 1980. Abstract: The age of technology has created a huge market for smartphones and Apps usage and a new generation has been created based on knowledge sharing. Now knowledge has been made easily accessible by Apps but; are users even aware of the permissions that these Apps require and the privacy issues involved? The study was conducted on the basis of how users make use of Apps. It was conducted through the assessment of permissions required by various Apps through carefully selected third-party Apps and the devices’ settings and also a review of existing literature that has been conducted in fields within Apps and privacy. It will be unearthed that a many different but exhaustive lists of permission are sought by each App installed and the device it is installed on can quite give the user the information. Also not all permissions sought were found to be risky but some just created a path or a vulnerable point for other malicious programs to take advantage of. 1. E. O. Yeboah-Boateng, Cyber-Security Challenges with SMEs in Developing Economies: Issues of Confidentiality, Integrity & Availablity (CIA), Copengahen: center for Communications, Media & Information technologies (CMI), Aalborg University, 2013a, pp. 1-217. 2. D. Schulke, The Regulatory Arms Race: Mobile-Health Applications and Agency Posturing, 2013. 3. R. Adhikari and D. Richards, "Security and Privacy Issues Related to the Use of Mobile Health Apps," Auckland, New Zealand, 2012. 4. Federal Trade Commission , "Understanding Mobile Apps," 2011. [Online]. Available:https://www.consumer.ftc.gov/articles/0018-understanding-mobile-apps. [Accessed 9th December 2016]. 5. J. F. Clark, History of Mobile Applications; Theory and Practice of Mobile Applications, 2012. 6. M. E. Vermaat, S. L. Sebok, S. M. Freund and J. T. F. M. Campbell, Discovering Computers 2016; Tools, Apps, Devices and the Impact of Technology, Boston, USA: Cenage Learning, 2016. 7. K. Ford, "Ellectronic AppWrapper," 2008. [Online]. Available: http://www.Kevra.org/TheBestOfNext/SWCatalogs/page274/page274.html. [Accessed 27th January 2017]. 8. W. Inc, "Whatsapp," 2016. [Online]. Available: http://www.whatsapp.com. [Accessed 27 January 2017]. 9. "GDP Tech Tips Sheets WhatsApp," [Online]. Available: http://www.fosi.org/documents/71/Gdp_Tech_Tips_Sheets_WhatsApp.pdf. [Accessed 27 January 2017]. 10. Instagram, "Instagram," 2016. [Online]. Available: https://www.instagram.com/?hl=en. [Accessed 26 November 2016]. 11. Dropbox, "Dropbox," 2016. [Online]. Available: www.dropbox.com. [Accessed 13 December 2016]. 12. "Google Drive," 2016. [Online]. Available: https://www.google.com/drive. [Accessed 28 December 2016]. 13. S. Mitrooff, "OneDrive,Dropbox, google drive and Box: Which cloud is right for you?," 2016. [Online]. Available: https://www.cnet.com/how-to/onedrive-dropbox-google-drive-and-box-which-cloud-storage-is-right-for-you/. [Accessed 27 January 2017]. 14. J. Stewart, E. Tittel and M. Chapple, CISSP: Certified Information System Seccurity Professional Study Guide, 4th Edition ed., Indianapolis, Indiana: Wiley Publishing, Inc, 2008. 15. P. Siani and B. Azzedine, "Privacy, Security and Trust Issues Arising from Cloud Computing," Bristol, UK, 2010. 16. E. O. Yeboah-Boateng and A. B. Appiah-Nketia, "Multi-Tenancy Issues with Service Delivery in Developing Economies: Privacy, Trust and Availability Concerns," International Journal of Computer Application (2250-1797), vol. 5, no. 6, pp. 82-94, 2015. 17. J. Larimer and K. Root, Security and Privacy in Android Apps, Gogle Developers, 2012. 18. J. Golbeck and M. L. Mauriello, "User Perception of Facebook App Data Access: A Comparison of Methods and Privacy Concerns," Future Internet, 2016. 19. K. Strater and H. Lipford, "Strategies and struggles with privacy in an online social networking community," Liverpool, UK,, 2008. 20. Debatin, J. Lovejoy, A. Horn and B. Hughes, "Facebook and online privacy: Attitudes, behaviors, and unintended consequences," p. 83–108, 2009. 21. G. W. Reynolds, Ethics in Information Technology, 3rd Edition ed., USA, 2010. 22. androidsoft.org, "Permission Friendly Apps - Version 1.4.1," 2014. [Online]. Available: http://54.154.155.50/permission-friendly-apps.html. [Accessed 10 March 2017]. 23. Wordle, "Wordle," 2017. [Online]. Available: www.wordle.net/create. [Accessed 16 March 2017]. 24. K. C. Laudon and J. P. Laudon, Management Information Systems, Managing the Digital Firm, 12th ed., New Jersey: Pearson Prentice Hall, 2012. Abstract: The current inventory system of the ON Semiconductor Philippines Inc can be further enhanced due to lack of inventory techniques that leads to some delays in some processes or elements in terms of storing and retrieving Integrated Circuits (ICs) in the staging racks. This study is aiming to apply the advanced process integration of quality control through proper inventory management system on their system for effective inventory and monitoring purposes. Moreover, to improve their current inventory system by applying the researcher’s proposed system that can lead for easy managing the staging racks in terms of storing, retrieving, and monitoring of ICs for easy distribution. The proposed system generally will not just lessen the time of process present in the of storing and retrieving of ICs but also it will to help monitor the status of staging racks and at the same time, it will eliminate misplaced inventory items and have an organization or synchronization among production elements. 10. Evan D. Morrison, Alex Menzies, George Koliadis, and Aditya K. Ghose, (2010). Business Process Integration: Method and Analysis. Abstract: This study aimed to design, develop, deploy and evaluate an electronic class record. Electronic worksheet software is used to develop the electronic class record and several arithmetic operators and functions like VLOOKUP, IF, AVERAGE, COUNTIF. A worksheet template was developed to accept name of teacher, course title, section, schedule, room, student name, date of each classes, base grade, test items, attendance and performance of the students. The electronic class record automatically computes the grades of the students following the prescribed grading system of College of Engineering of University of Perpetual Help System Laguna. Developmental process and prototyping method were utilized to develop the electronic class record. Testing, deployment and evaluation have been initiated to observe its acceptability. The electronic class record will be used effective School Year 2016-2017. Abstract: To alleviate this congestion and improve the environment quality in urban centre, the project is introduced Parking Guidance System (PGS) to sense curb-street parking using a drive-by sensing. To quantify the system’s benefits, the project has examined the effect for the deployment of this system on network mobility, i.e. travel time and delays, and greenhouse gas (GHG) emitted from vehicles through a design and a development of simulation model replicating one central business district area. The findings demonstrate that PGS has the potential to improve mobility and reduce vehicular emissions at any level of market saturation whether or not near-real-time traffic data is integrated into the route guidance system. The most significant reductions in vehicular emissions and delays are realized under conditions where the demand for parking is much greater than the availability of parking places; suggesting that as cities become more densely populated, PGS will become more necessary to reduce congestion and improve urban air quality. 1. Nadereh Moini1, David Hill2, Marco Gruteser3 “Impact Analyses of Curb-Street Parking Guidance System on Mobility and Environment” February 2012. 2. M. M. Rashid1, A. Musa2 , M. Ataur Rahman3, N. Farahana4, A. Farhana5 “Automatic parking management system and parking fee collection based on number plate recognition” Vol.2 April 2012. 3. Renato Calio1,, Udaya Bhaskar Rongala2, Domenico Camboni3, Mario Milazzo4, Cesare Stefanini5, Gianluca de Petris6 and Calogero Maria Oddo7 “Piezoelectric Energy Harvesting Solutions” April 2014. 4. Ahmed Telba1, Wahied G. Ali2 “Modeling and Simulation of Piezoelectric Energy Harvesting” Vol.2 July 2012. 5. Kiran Boby1, Aleena Paul K2, Anumol.C.V3, Josnie Ann Thomas4, Nimisha K.K5 “Footstep Power Generation Using Piezo Electric Transducers” Vol.3 April 2014. 6. Madan Mohan Behera “Piezoelectric Energy Harvesting from Vehicle Wheels” International Journal of Engineering Research & Technology (IJERT) Vol. 4 Issue 05, May-2015. 7. K W Axhausen1, J W Polak2 and M Boltze3“Effectiveness of Parking Guidance and Information Systems:Recent Evidence from Nottingham and Frankfurt am Main”. 8. Arwinderpal Singh (1), Harinder Singh Sandhu (2) , Pardeep Singh (3) “Footstep Energy Generation By Piezoelectric Effect: A Case Study On New Delhi Railway Station” Volume3 Number4 International Journal Of Electronics & Data Communication. Abstract: This study served as a means of knowing the respondents’ frequency of putting into practice the following study habits: reading and note-taking, concentration, distribution of time, social relationships, delay avoidance, and work methods and their attitudes towards school work and towards their teachers. Finally, this research aimed to find the correlation between the respondents’ study habits, attitudes and the level of academic performance of selected College of Engineering Students of Summer 2016, in which by so doing may be a basis for Student Reinforcement. Result showed no correlation and it is suggested that study be conducted during regular semester for a more realistic results. Reinforcement to students were enumerated in the recommendation. 1. Aquino, L. (2011). Study habits and attitudes of freshmen students: Implications for academic intervention programs. Journal of Language Teaching and Research, Vol. 2 (5). 1116-1121. 2. Awang, M. and Sinnadurai, S.K. (2010). A study on the development of strategic tools in study orientation skills towards achieving academic excellence. Journal of Language Teaching and Research, Vol. 2, No. 1, pp. 60-67. 3. Bashir, I. & Mattoo, N.H. (2012). A study on study habits and academic performance of adolescents (14-19) years. International Journal of Social Science Tomorrow, Vol. 1 (5). 4. Cooper, et al (1998). Child and Adoscent Mental Health Sevices: Strategy, Planning, Delivery and Evaluation. 5. Crede, M. and Kuncel, N. (2008). Study habits meta-analysis, Perspectives on Psychological Science in Press, Vol. 3 (6), 425-453. 7. Demir, S., Kilinc, M., & Dogan, A. (2012). The effect of curriculum for developing efficient studying skills on academic achievements and studying skills of learners. International Electronic Journal of Elementary Education, Vol. 4 (3), 427-440. 8. Eccles & Wigfield (2012). Relationship among Attitudes, Coping Strategies, and Achievement in Doctoral-level Statistics Courses: A mixed Research Study. International Journal of Doctoral Studies, Vol.7, p349-375. 27p. 9. Fazal, S. et. al (2012). The role of academic skills in academic achievement of students: A closer focus on gender. Pakistan Journal of Psychological Research, Vol. 27 (1), 35-51.10. Hassanbeigi, A. et al. (2011). The relationship between study skills and academic performance of university students. Procedia-Social and Behavioral Sciences, Vol. 30. 1416-1424. 11. Khurshid, F., Tanveer, A., & Qasmi, F. (2012). Relationship between study habits and academic achievement among hostel living and day scholars’ university students. British Journal of Humanities and Social Sciences, Vol. 3 (2), 34-42. 12. Mutsotso, S.N. and Abenga, E.S. (2010). Study methods for improving quality learning and performance in higher education. Educational Research and Review, Vol. 5 (12), 808-813. 14. Nonis, S. and Hudson, G. (2006). Academic performance of college students: Influence of time spent studying and working. Journal of Education for Business, January/February 151-159. 15. Nouhi, E., Shakoori, A., & Nakhei, N. (2008). Study habits and skills, and academic achievement of students in Kerman University of medical sciences. Journal of Medicine Education Vol. 12(3, 4) 77-80. 16. Nuthana, P. & Yenagi, G. (2009). Influence of study habits, self-concept on academic achievement of boys and girls. Kartanaka Journal of Agricultural Science. Vol. 22, (5), 1135-1138. 17. Onwuegbuzie (2001). Library Anxiety: Theory, Research and Applications. https://books,google.com.ph/books?isbn=0810849550 Osa-Edoh, G. and Alutu, A. (2012). A survey of students study habits in selected secondary schools: Implication for counseling. Current Research Journal of Social Sciences, Vol. 4 (3), 228-234. 18. Otto, E.P. (1978). Study behavior and tertiary academic achievement. Australian Journal of Teacher Education, Vol. 3 (2), Article 4. 19. Rana, S. and Kausar, R (2011). Comparison of study habits and academic performance of Pakistani British and White British students. Pakistan Journal of Social and Clinical Psychology, Vol. 9, 21-26. 23. Sarwar, M. et. al (2009). Study-orientation of high and low academic achievers at secondary level in Pakistan. Educational Research and Reviews, Vol. 4 (4), 204-207. 24. Sarwar, M. et. al (2010). Study attitude and academic achievement at secondary level in Pakistan. Journal of College Teaching and Learning, Vol. 7 (2). 25. Singh Y. G. (2011). Academic achievement and study habits of higher secondary students. International Referred Research Journal. 27. Tella, A. (2007). The impact of motivation on student’s academic achievement and learning outcomes in mathematics among secondary school students in Nigeria. 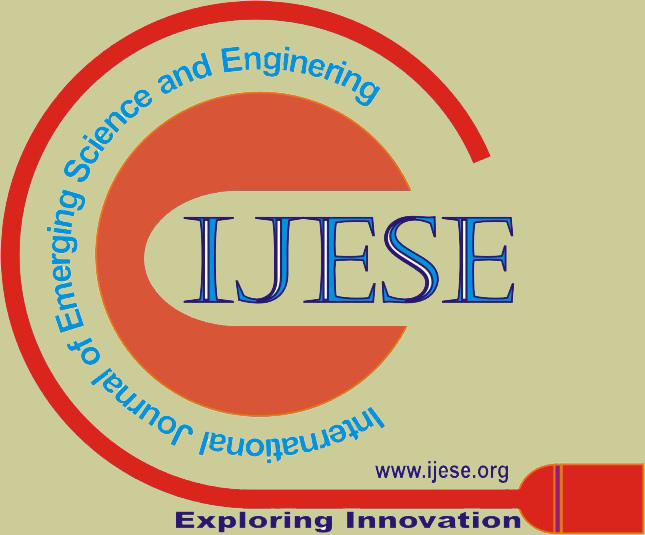 Eurasia Journal of Mathematics, Science, & Technology Education, Vol. 3 (2): 149-156. 28. Villalobos (2013). Parenting Styles’ Study Habits and Academic Performance of 7th Grade Students of Mater Ecclesiae School in San Pedro, Laguna. 29. Yang, Yang (2011). A Q factor analysis of college undergraduate students’ study behavior. Abstract: The researcher of this study proposed a game system which is called as Fun Learning to provide a fun and informative game for children. The study will provide a computer game, wherein the preschool students can enjoy while learning. It will aid to lessen the teachers’ visual aids, it will keep the students’ interests in learning, enhance and transform their educational experience, exercise and challenge their critical thinking through different mind games, and utilize the students’ growing interest in technology in a beneficial way. Rapid Application Development was utilized to create the application. Direct observation and interview were done in the Olympia Daycare Center to have a clear understanding on what is the scenario in a preschool classroom. The program must be uploaded in android system such as phones, tablets or any other electronic gadgets so that kids can bring it anywhere for learning and exploring. Through the change of technology, utilizing the Fun Learning application will be of great help to students and teachers. Keywords: Rapid Application Development, technology, preschooler. 2. Barr, R., Calvert, S., and Wilson, B. 2008. Attention and Learning from media during infancy and early childhood. Handbook on children, media and development. 4. Chase, Catherine C. Chin, Doris B., Oppezzo, Marily A., & Schwartz, Daniel L. 2009. Teachable agents and the protégé effect: Increasing effort towards learning. Journal of Science Education and Technology, 18(4) 334-352. 7. Gee, James Pauln. 2015. Games can Advance Education. Safety Science 24(3), 197-209. 8. Hotle, Matt. 2010.. The Disintegration of AD: Putting it Back Together Again, Enterprise Integration Summit, Sao Palo, Brazil: Gartner Group. 9. McNamara, Danielle S., Jackson, G. Tanner, & Graesser, Arthur. 2009. Intelligent Tutoring and Games (ITaG). Loa Angeles: University of Southern California. 10. Nam, Heather. 2010. Designing User Experiences for Children. Uxmatters. 13. Shneiderman, Ben and Plaisant, Catherine. 2010. Designing the user interface: Strategies for effective human-computer interaction. 4 edn. Pearson Education. 14. Singer, D.G. & Singer, J.L. 2009. Imagination and play in the electronic age. Harvard University Press. 15. Zhazha, Trinidad. 2015. A Children Tutorial in Science and Health for Nursery to Preparatory. Abstract: Nowadays, our country is facing major problem of oral health. Oral hygine plays an important role in keeping the people healthy. Most of the people who live in rural area are not aware about their oral hygine. So, to educate the people about their oral health, we developed a system that helps doctor and patient to predict the oral diseases. In this paper, we are applying prediction on oral health care data set to provide knowledge about Oral Health Care in the absence of caring facilities. 1. Nomusa Dlodlo, “Potential applications of the internet of things technologies for South Africa’s health services”, International Conference on ICT for Africa 2013, February 20 -23, Harare, Zimbabwe. 2. Amiya Kumar Tripathy, Rebeck Carvalho, Keshav Pawaskar, Suraj Yadav, Vijay Yadav, “Mobile Based Healthcare Management using Artificial Intelligence”, International conference ICTSD-2015. 3. Samyuktha Challa, G. Geethakumari, CSN Prasad, “Patient Data Viewer: An Android Application for Healthcare”. 4. A case Study Deloitte eHealth Programme. 8. Hummel J, Phillips KE, Holt B, Hayes C. Oral Health: An Essential Component of Primary Care. Seattle, WA: Qualis Health; June 2015.